Little Miss had a routine checkup on the schedule so Redflare made a fun day of it. 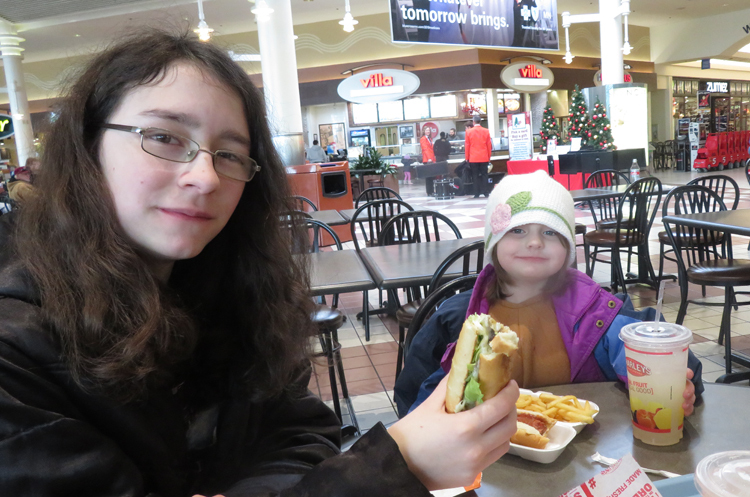 Lunch at the mall food court with two of her three girls. This entry was posted in Kids, Little Miss, Thunderer, Younglings and tagged kids, Little Miss, Thunderer, Younglings. Bookmark the permalink.